Boutique owners are finding success on Pinterest. However, seeing the true impact of your Pinterest boutique will take time. as users frequently create gift or wish lists, coming back to purchase later. Should You Build a Pinterest Boutique? 1. Are you using Pinterest to attract new customers or better engage existing ones? If you’re looking to primarily attract new customers, keeping a fresh flow of people seeing your pins and following you is important. Products such as the Pinterest Audience Growth Engine can help you maximize your ability to do this, but keep in mind that audience building takes time. If you want to get going quickly, energizing your existing fan base is the way to start. Most brands do this incorrectly, though, my simply sending a single blast email asking their past customers to follow them. That’s bad in 2 ways: (1) Many of your customers don’t use Pinterest and view this as SPAM, (2) the customers who DO use Pinterest and can help get your brand noticed aren’t being consistently engaged. PinMail is a clever solution to this issue, growing Pinterest engagement via email by targeting users with content relevant to the social networks they use most often. This builds true, lasting fans. 2. Does your boutique ship regionally, nationally, globally? The internet is incredibly powerful because it can open up new markets and customers a local business would never have been able to otherwise serve. However, if the nature of your business limits the geographies you can serve, you’ll want to factor this into your strategy. A local boutique bakery looking for local customers only? Start by searching Pinterest for local users and building deep relationships with them. In this case, quality of engagement matters much more than quantity of followers. Conversely, if you have a high end fashion boutique that ships globally, you should focus on attracting influential users in your category (e.g. Women’s Fashion) who can help you reach many users. In either case, the Audience Engine can help you find the right followers on Pinterest without spending hours hunting them down. 3. How often does your inventory change? How large is your product selection? Many ecommerce stores set up their Pinterest boutique and immediately pin their entire product catalogue. Don’t do this! Data shows you should share content from others’ sites more often than your own, especially while building your fan base. If you have a relatively constant product line, you could also run out of original content to pin over time. That means that later on, you’ll be driving traffic mostly to pins that don’t support your sales objectives. Think about the specifics of your business and how often you’ll generate new content. This should impact your content strategy. 4. Do you want someone to manage your boutique’s Pinterest account? There’s no way around it: social media takes time. Lots of it. As a small business owner, time is probably not something you have. And while Pinterest (or other social platforms) may have great potential for you, not dedicating the appropriate time to use the platform well will guarantee that you won’t succeed. There are many affordable options if you want Pinterest experts to manage your account for you. 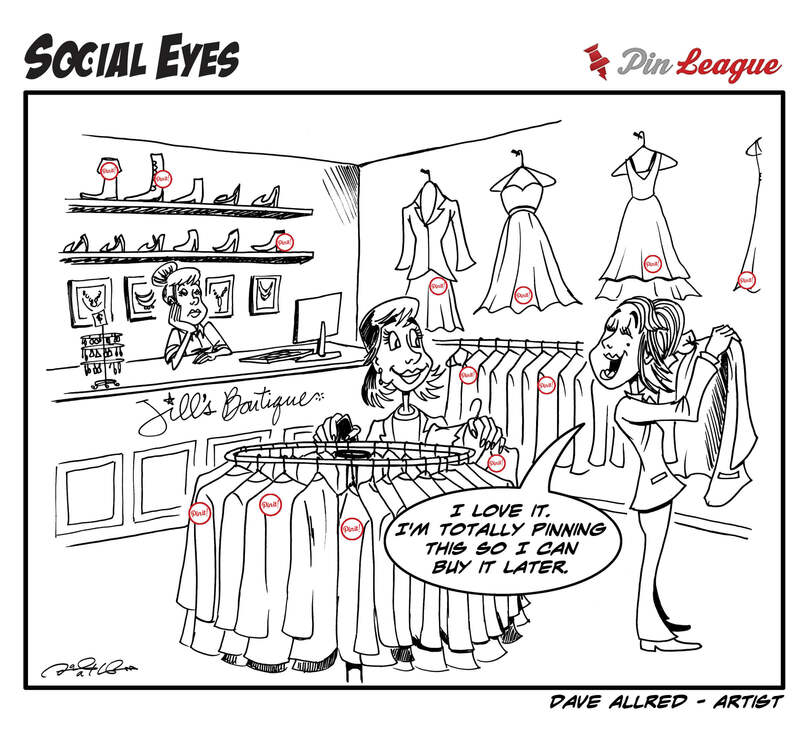 For instance, at PinLeague, we offer Pinterest Account Management services for only $398/month. That’s ~10% the cost of a dedicated social media manager. That includes your own analytics dashboard and tools to grow your audience faster. If you’re considering this option we’d love to chat with you. Daniel Maloney is the CEO and Co-founder of Tailwind (http://tailwindapp.com), the leading Visual Marketing platform loved by over 50,000 brands big and small. Tailwind helps make your marketing on Pinterest and Instagram easier, faster and more effective. A veteran of the internet industry, Danny lead New Initiatives at Google Maps / Local and YouTube, served as General Manager of AOL Video and founded other companies in the fields of e-commerce and visual discovery prior to Tailwind.